Infrared « Global Market Insights, Inc.
Internet of things has brought a revolution of sorts in the security & surveillance landscape globally. IP camera industry, in this context, stands as a major beneficiary of this change. As per reliable estimates, in the year 2016, the global shipments for IP cameras surpassed 15 million units. 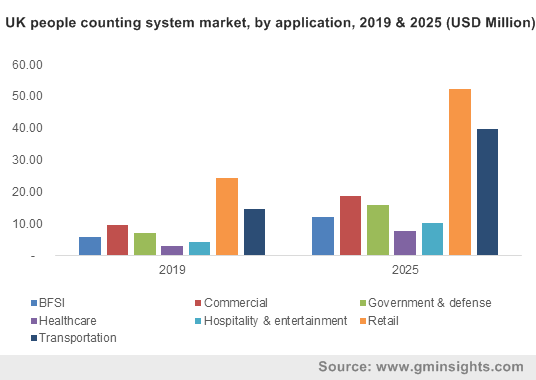 Add to it, reliable sources affirm that in the year 2014, IP camera shipments in smart home exceeded 1.3 million units – data strongly attesting the role of IOT and connected infrastructure in the lucrative growth chart of IP camera industry. Reportedly, the smart home segment is anticipated to depict synonymous demand for networked cameras in the ensuing years with an estimated shipment of more than 20 million units by 2019. Having said this, the growth prospects of IP camera market from residential applications is quite vividly huge. In fact, as per a report compiled by Global Market Insights, Inc. IP camera industry from residential applications is estimated to register a CAGR of 25% over 2017-2024, driven by applications including the likes of home surveillance systems, access control, remote monitoring, intelligent building control, and HVAC management. 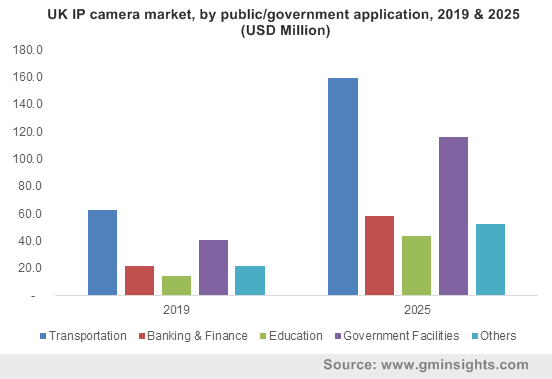 Elaborating further on the application portfolio of IP camera market, the domains spanning healthcare, retail, industrial, and real estate, transport, BFSI, and education have contributed immensely to the IP camera market proliferation. Backed by the falling price of these HD network cameras coupled the growing adoption of open standards, these high-resolution HD network cameras have phenomenally penetrated the commercial and governmental sectors. In response to these opportunistic waves, the competitive landscape of IP camera market is thriving with product innovations and developments, having pricing and technology upgradations as the center focus parameters. Not to mention, M&As and collaborative deals between security and technology players is emerging as a top-notch growth strategy, to sustain in this ferociously dynamic landscape. Citing a recent instance, OmniVision Technologies, Inc, a U.S. based digital imaging developer in collaboration with VATICS Inc., a renowned player in Taiwan multimedia SoC solution market have partnered to bring a NIR or near infrared IP camera solution for indoor & outdoor surveillance systems. As reported by the company officials, the product stands different through its high responsiveness to NIR light, which reduces the need for augmented lighting – which not only proliferates the power consumption but also enhances the risks of exposing the hidden cameras. 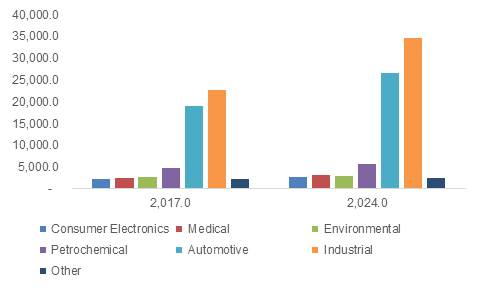 Speaking along similar lines, it is imperative to mention that Infrared cameras have stood as one of the major product segments of IP camera market and is expected to show significant growth trends in the coming years. It is imperative to mention that all the major product developments canopied under IP camera industry are hinged on technology interventions. As per reliable estimates, the worldwide security technology and services market generated a revenue of more than USD 75 billion in 2016. Being on the forefront when it comes to technology appetite, the U.S. stood tall in the IP camera industry share battle with dominating share in 2016. In the year 2014, there were allegedly more than 125 surveillance cameras per thousand people in the U.S.
Pelco, a subsidiary of Schneider Electric, is one such name which has created a buzz in the IP camera industry and has undeniably contributed immensely to the U.S. IP camera landscape. The global surveillance solution leader recently announced its partnership with Ipsotek, UK headquartered video analytics leader, in a bid to bring strong solutions on board to combat security risks. For the records, Pelco plans to leverage Ipsotek’s specialization in detecting behaviors in the real-time videos, thereby delivering alerts to operators and reducing false alarms. Last year, Pelco, with its collaboration with V5 Systems, expanded its Sarix Professional IP surveillance cameras reach to outdoor security markets, particularly in areas with no or low fixed power and communication facilities. The company is predominantly active in exploring the untapped opportunities in IP camera market space, on a global scale. The firm, made it to the headlines, all over again with its announcement of showcasing its innovative solutions at Intersec 2018. The solutions are deemed to address the Middle East and Africa regions particularly and will elaborate on Pelco’s partnership with three reported industry magnates – Ipsotek, Gallagher Command Center, Ruckus Wireless. Reportedly, Pelco, in January this year collaborated with Ruckus Wireless to integrate the latter’s ICX switches and ZoneFlex access points (APs) with Pelco’s IP Cameras and VMS in a bid to offer an upgraded version of IP video systems. Overtly, the firm will continue to be a major vendor for the U.S. and the global IP camera industry in the ensuing years. In a recent turn of events encompassing IP camera market landscape, Digisol Systems, an India headquartered active networking market player announced the launch of its new Dome IP CCTV Camera dubbed as DG-SC6502SA. Reportedly, the camera is featured with a CMOS sensor and real time image processing hardware and is designed for office/home security and monitoring purposes. Hanwha Group, one of the largest conglomerates in South Korea, under its subsidiary Hanwha Techwin America, the renowned supplier of analog and IP video surveillance solutions, recently declared the integration of VMS into the existing Hanwha IP Cameras. Reportedly, the WAVE VMS will enable the present Hanwha IP camera user base across a wide range of sectors like education and retail to utilize the utmost out of the advanced analytics features. ThroughTek, a leading IoT solution provider for cloud connection platform, will reportedly showcase its Kalay Platform solution at the Mobile World Congress Taiwan Pavilion Booth this year. As per the sources, the firm will present the famous products and brands that use Kalay Platform solution like Guardzilla’s low power consumption doorphone, Xiaomi Home IP Camera series, Furbo Dog Camera from Taiwan-based Tomofun. The firm has quite a strong stance in the global IP camera industry and its cloud platform, Kalay has been a breakthrough with regard to providing video transmission & storage with such high efficiency and affordability quotients. Gorilla Technology, the Taiwan based IoT and video intelligence provider recently announced its partnership with Airship, a renowned VMS service supplier, in a bid to create an integrated video intelligence management solution. 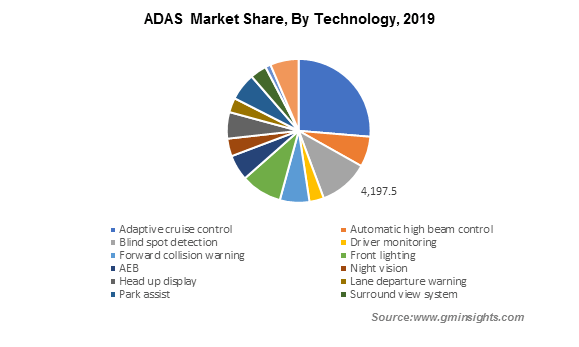 The deal is anticipated to be an opportunistic one for the players operating in security industry verticals, particularly IP Camera, VMS, NVR, and SI. The deal, as speculated by the industry experts, is an apt blend of security and IoT merger. With the increasing deployment of big data and IoT and the consequent large pool of data, the quest for deriving actionable insights is expected to proliferate massively. Undoubtedly with ‘smart’ trends penetrating both the government and private sectors, the advancements and security risks go hand in hand, in terms of growth. Amidst this scenario, analysts quote the IP camera market trends to be substantially profitable in the coming years, with a pool of demand from a varied range of sectors. Backed by this drive toward real-time IP/network solutions, the global IP camera industry is slated to register a CAGR of 20% over 2017-2024. For the records, the market stood at an appreciable revenue of USD 5 billion in 2016. This entry was posted in Electronics and Media and tagged Centralized Connection, Decentralized Connection, Fixed, home security, Infrared, IP Camera Market, IP Camera Market Leaders, IP Camera Market Research, IP Camera Market Share, IP Camera Market Size, PTZ, Smart Home.